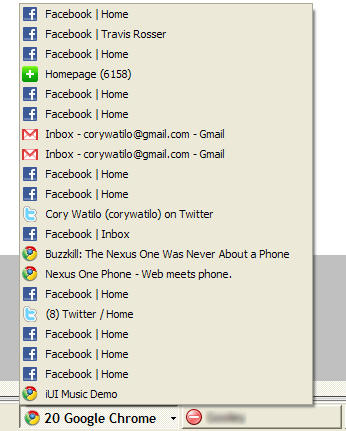 Notice all the Facebook windows I have open? Seriously, I don't know how this always happens over the course of 6 hours. 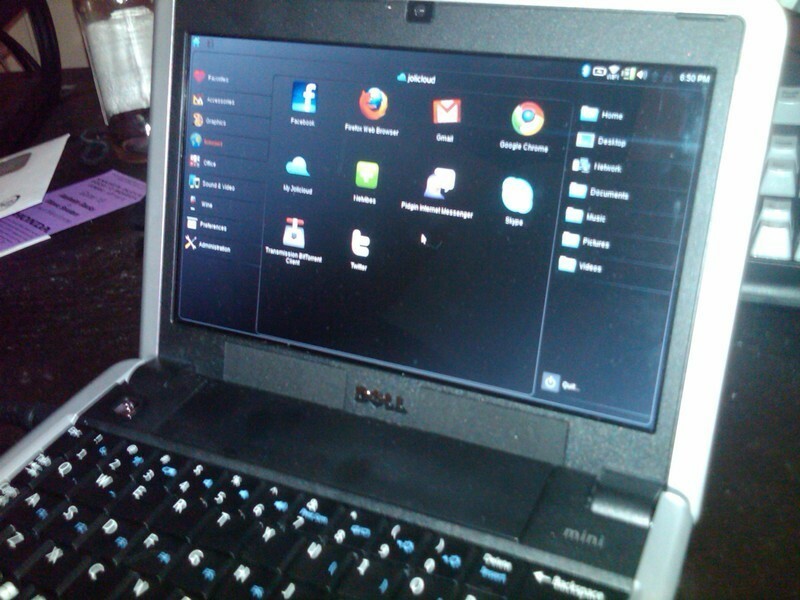 I haven't opened my Dell Mini 9 netbook since August. The keyboard is too small to type on, rendering the device pretty much useless for me, so I didn't really have anything to lose. After some technical headaches during the install, I finally got Jolicloud installed. If you haven't heard of Jolicloud, it's a new operating system, like Windows or Mac OS X, but free, and made with less powerful devices in mind. It's derived from Linux, and I guess is actually technically Linux, and is supposed to be a lightweight system that easily offers applications that you'd want to use on a netbook. While I didn't find Jolicloud incredibly useful, at least on my device, I can see myself using it in the future for maybe a media center setup. Most of the apps I wanted to use were essentially just shortcuts to websites, like Gmail, Facebook, and Twitter. Unfortunately, when I tried to run Boxee to stream Hulu, the video stuttering made playback unbearable, but I kind of think that's more Boxee's fault than Jolicloud. There was absolutely no chance of testing out the HD video output that Jolicloud supposedly supports. It's definitely got a nice UI and it didn't take long to become accustomed to it. And with the number of apps already available for the platform, it doesn't seem like new users will run into the problem where there's nothing to do on the device, like what happened when I got my Palm Pre (no Web OS apps available). It will be interesting to see where Jolicloud goes. Like I said, if I ever end up using it, it will most likely be on a media center setup, but on a much more powerful system than a netbook, and just for fun. After all, any computer that I buy is going to be running a much more powerful OS by default. Clearly I'm not their prime target, but for somebody looking for a cheap netbook for basic tasks, I can see how Jolicloud might be worthwhile, especially if they can get their OS pre-installed on netbooks, and get them into the hands of consumers for less than the same system would be with Windows pre-installed. Back in May, I decided it was time for me to get a hosted subversion account of my own. I tried out the various options out there including Beanstalk app, but didn't find anything I liked more in terms of features, functionality, ease of use, and pricing than Springloops. While I was comparing my options, I found Beanstalk offered a feature that Springloops didn't at the comparable price point. I shot off an email to Springloops, and whether it was my asking or not, they decided to match Beanstalk's offering for their $9/mo plan. But you never know the true character of a company until there's a problem. I've never had a problem with their service until today when I couldn't login for some strange reason. I shot off an email, went out to lunch, and had a reply in my inbox before I even got back. Apparently they had some sort of hardware problem. Without even asking, they provided a free month of service for the inconvenience. I wasn't even going to ask - it wasn't a big deal, but they went above and beyond to make sure I was satisfied. That's the mark of a great company - a group of people who are responsive to their customers and do everything they can to make sure that when there are problems, their customers are taken care of.